Combine chicken and taco seasoning mix and prepare per seasoning mix instructions. 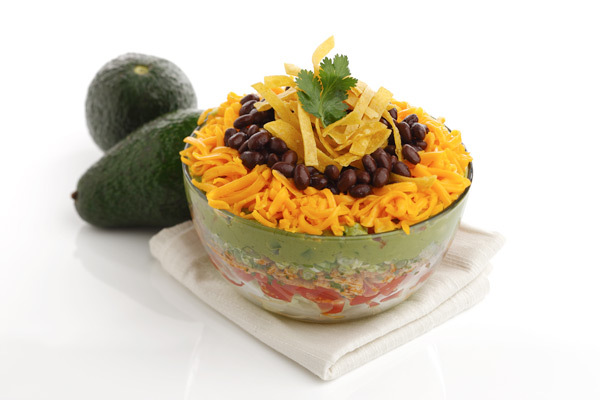 In a large glass bowl, layer: lettuce, tomato, green onions, black beans, cooked chicken mixture, Del Monte® Fresh Guac, sour cream, and cheese. Top with tortilla chips before serving.